Welcome to the College of Charleston Arts Management Program blog! 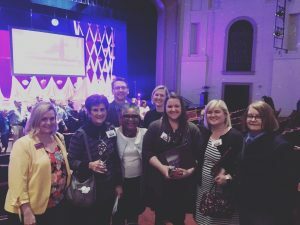 The Arts Management Program was the star of the show at last week’s Excellence in Collegiate Education and Leadership (ExCEL) Awards ceremony. The Program saw five students, staff, and faculty members honored at the ceremony, which is organized by the Office of Multicultural Student Programs and Services to highlight those who help to create a campus environment that promotes diversity and excellence. Senior Arts Management majors Ariel Zambrano and Shiclasia “Clay” Brown were honored with student ExCEL awards. Zambrano was named the Outstanding Bonner Leader, while Brown was recognized as the Female Student Athlete of the Year. 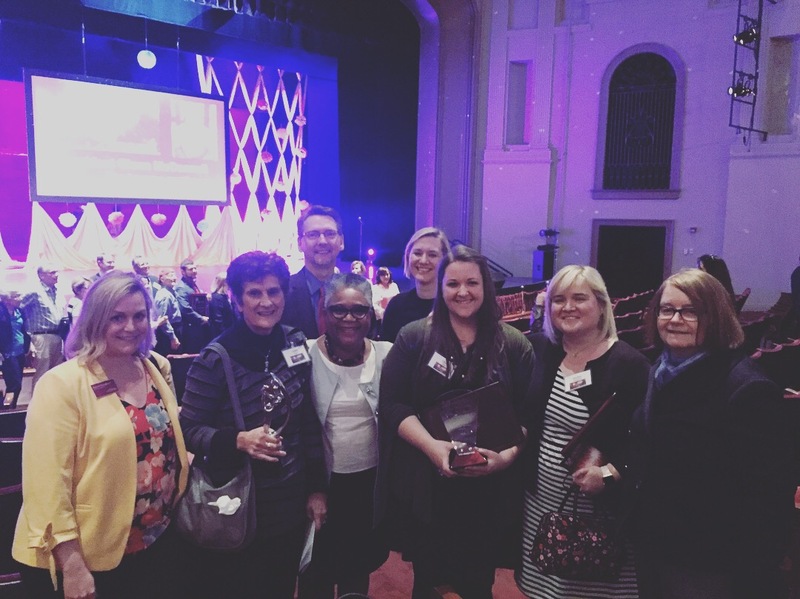 Arts Management faculty members Heather McDonald and Judith Allen were also honored. McDonald was named Outstanding Faculty of the Year in the School of the Arts. In addition to teaching Arts Management courses such as History of the Recording industry, Music in the Marketplace, and Contemporary Issues in Arts Management, McDonald also oversees 1770 Records, the College’s student-run record label committed to educating students in the music business and supporting local music. Allen, meanwhile, won the President Harry Lightsey Humanitarian Award, given to an individual who continues the legacy of unselfish concern and noble desire to improve the lives of faculty, staff, students at the College of Charleston and the local community. Allen served as President of the Blumenthal Performing Arts Center in Charlotte, NC from 1990 until 2003, and uses her extensive experience in arts administration to teach a Senior Seminar course on career planning. Finally, Program Coordinator Claire Long received the Outstanding Staff Award for Excellence in Customer Service, which is awarded to those who have demonstrated a significant increase in the efficiency of an operation or unit which improved customer service for faculty, staff, students, and/or community members. Long has served as the Arts Management Program Coordinator since December of 2017. She is an alumna of the College and received a Master of Arts Management (MAM) from Carnegie Mellon University. Congratulations to all our ExCEL award winners!